If the industry is of appreciable size and its demand for productive resources constitutes a sufficiently large part of the total demand for the resources, then its expansion will cause their prices to rise. The wages of specialized labour and the prices of other scarce factors like raw materials, capital equipment arc bound to rise as the demand for them increases as a result of the expansion of the industry. There may be some external economies but generally the external diseconomies will over-weigh the external economies. Thus, these net external diseconomies will raise the costs and, therefore, shift both U-shaped average and marginal cost curves of all the firms (both existing as well as the new ones) above the previous level. . As a result, the minimum average cost will rise. Every linn ~ill be in long-run equilibrium where Price = Me = minimum AC. But this price and minimum avcrec cost will be higher than the one before expan_ ion or the industry. It is, therefore, clear that the additional supplies of the product by new finn, in the case of increasing cost industry, will be forthcoming only at a higher price. 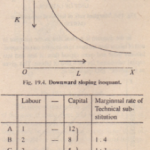 The long-run supply curve (LSC of the increasing cost industry will, therefore, slope up . dotted long-run average c t curve (LAC) and long-run marginal cost curve (L IC) have been shifted up a little as a result of the net external diseconomies due to the increase in the number of firms in the industry. 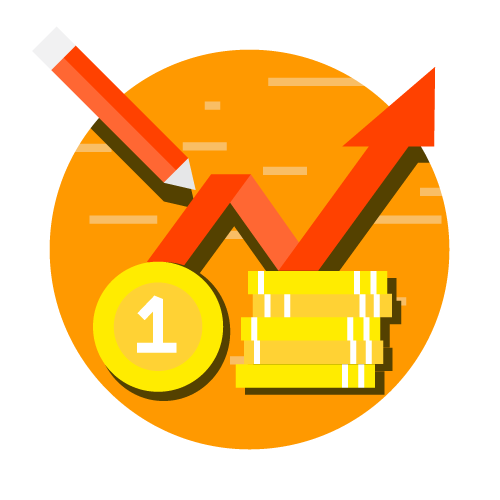 Every firm will be in equilibrium at XMloutput, where it will be equalizing price 01′ I with new marginal cost and new minimum average cost. More will be supplied at price OPI than at the old price 01′ because there will be larger if firms at price OP 1 than those at 01′ and, therefore, the long-run- supply curve slopes upward to the right. This case of upward sloping supply curve is probably the most typical of the actual competitive world.That is so because productive resources arc used in various industries; hence higher prices have to be paid to transfer these resources from one industry to another.